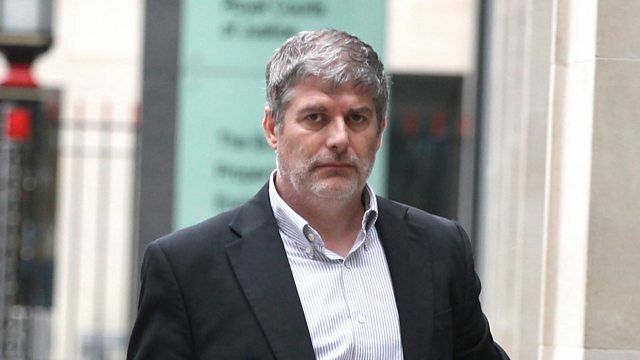 Steven Long, the founder of the collapsed inheritance planning firm, Universal Wealth Preservation, has been jailed for eight months for failing to disclose the whereabouts of his clients' money. It's now emerged that at least twenty-five million pounds has gone missing. Money Box hears from Shivani Varma, the solicitor acting for around 30 claimants who have lost millions of pounds and talks to one client who attended the High Court hearing about what it was like when the prison sentence was handed down. Overdraft charges: The Financial Conduct Authority announced major changes this week to how banks charge us for accidentally slipping into the red. It wants to stop firms charging higher prices when customers use an unarranged overdraft and bring an end to fixed daily and monthly fees. Instead the banks will have to charge customers one simple rate of interest on the money owed. But, given that overdraft charges bring in around £4.2 billion a year for the banks, how will they recoup those lost monies? Professor Peter Hahn of the London Institute of Banking and Finance gives his assessment of the planned changes. Are you going bust? To be blunt, no! That was the first of eight questions in a Q&A sent out this week by the energy supplier, Outfox the Market, to its 100,000 customers. So many of them have been contacting the firm that the energy regulator Ofgem tweeted this week that it was in "active discussions with the supplier regarding their customer service issues". Money Box hears from one frustrated Outfox customer about the problems he's been having trying to contact the firm to get back £500 credit he's due and we hear from energy analyst, Ellen Fraser of Baringa on this latest development. Down down down. That was share prices in London and indeed in much of the world in the last full trading week of the year. And it matters to most of us as our pensions and ISAs will be affected. Share prices are normally measured by the FTSE100 index - the average of the shares in the hundred biggest companies on the London Stock Exchange. It ended the week 12% down on a year ago. and nearly a third less than its value at the start of this century. So is investment bust? Paul Lewis talks to Russ Mould, Investment Director at stockbrokers A J Bell. Paws for thought. Just how much does it cost to keep a pet?